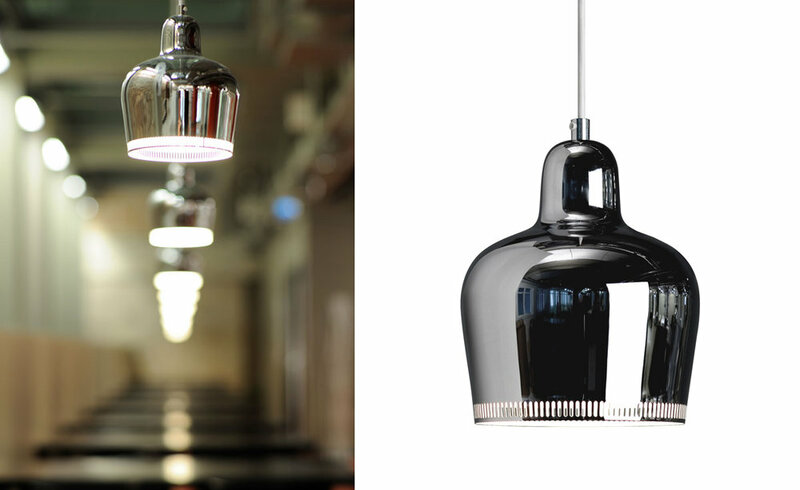 Alvar Aalto, one of the founders of Artek, designed the A330S Pendant Lamp, also known as the “Golden Bell” in 1937. He is recognized today as one of the great masters of modern architecture and held a distinguished career as a lamp designer. His lighting was minimal yet elegant while offering a timeless quality. These lamps make a versatile and lasting feature to any commercial or residential decor. 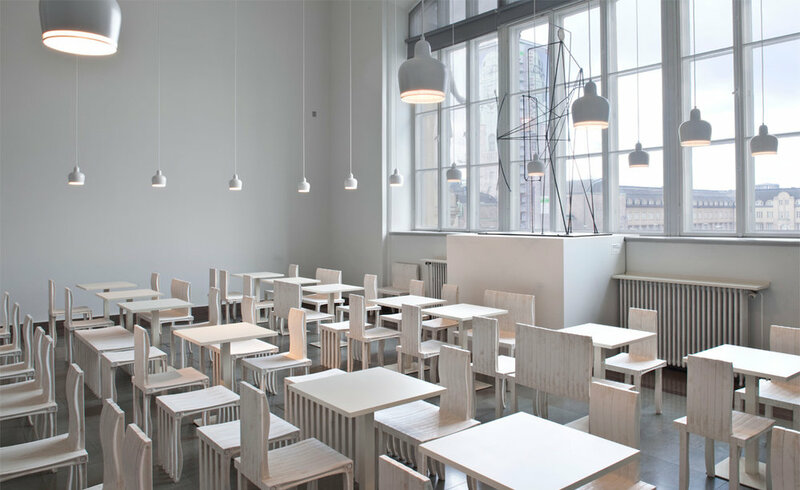 Artek founders Aino and Alvar Aalto were commissioned in 1936 to design the interior of the Savoy Restaurant in Helsinki. Made from a single piece of brass, the elegant Golden Bell was a featured element of the restaurant’s interior. The A330S Pendant Lamp was also shown in the Finnish Pavilion of the Paris World Expo in 1937. A330S was re-issued in 2007. The pendant features a light fixture plug with a plastic cable and is available in brass, chrome, black or white, all with a painted white interior. It includes a black plastic cable with the black shade and a white plastic cable with all other options.